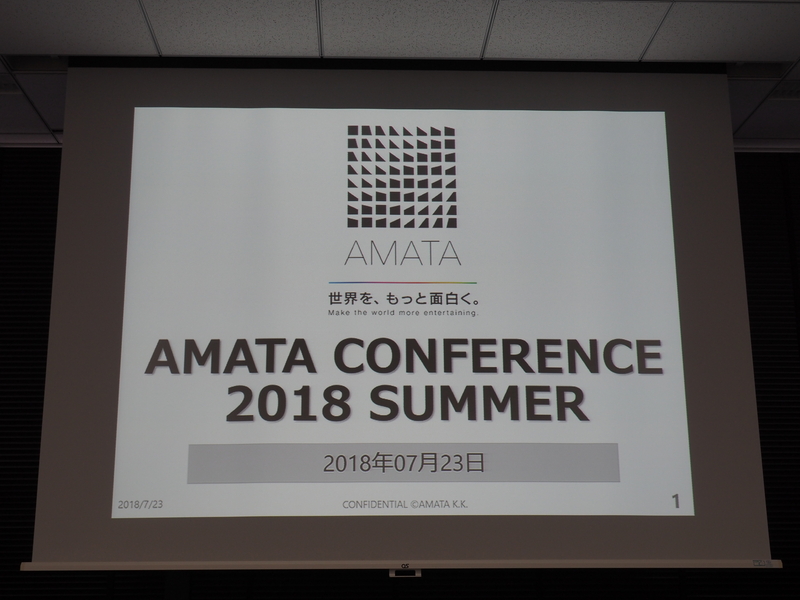 On Monday July 23rd our entire staff from Tokyo, Sapporo, and Korea came together to meet under one roof for AMATA CONFERENCE 2018 SUMMER. This time we had a total of over 170 attendees, which is the biggest turnout we’ve had so far. At the outset of the conference President Takahashi updated everyone on current administrative reports and made some announcements regarding future business plans. Management figures are a reality as well, so he also gave us an honest account of company profits and deficits. Continuing from there we moved on to our special acknowledgments that award employees for continuous service. Then after that we took time for the AMATA AWARD. We commemorated 9 employees for 5 years of employment and 10 employees for 3 years of employment, both of which ended up being the most people we’ve ever had. The AMATA AWARD is a special commendation given by the company to a team and individual. The team award went to the TENKAHYAKKEN -ZAN- team to celebrate their first full year of operations, and the individual award went to our HR Planning Department Director for working hard during a 4-year organizational expansion project. The entire staff working here at the company looks forward to the employee meetup, which takes place during the second half of the conference. The meetup gives everyone at the conference a chance to talk and hang out while enjoying food and drinks. There were amazing prizes on the line this time that gave everyone some serious motivation to win. This ended up being the most exciting tournament we’ve ever had. The next AMATA CONFERENCE is scheduled for January of next year. By the time that conference is held it will probably reach over 200 attendees. I can’t wait to see the AMATA CONFERENCE grow even more!